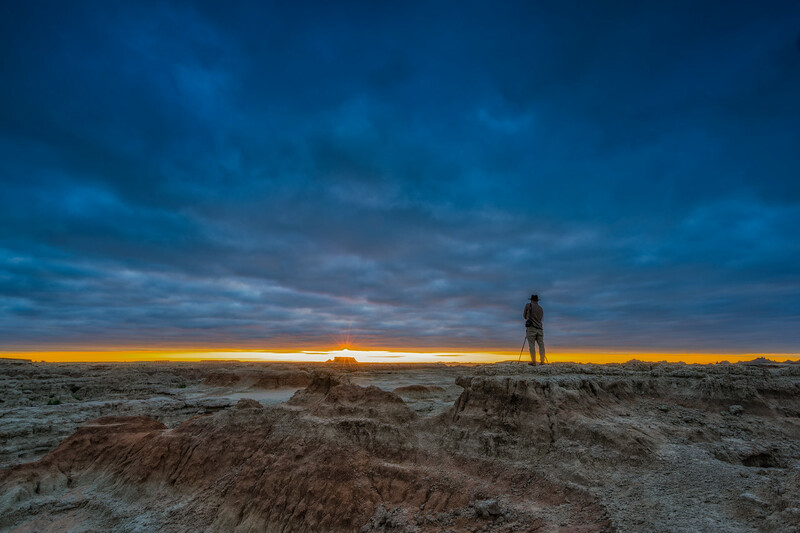 There's a reason South Dakota invited a group of photographers out to capture its landscape for a gallery on Instagram. It's one remarkable state. 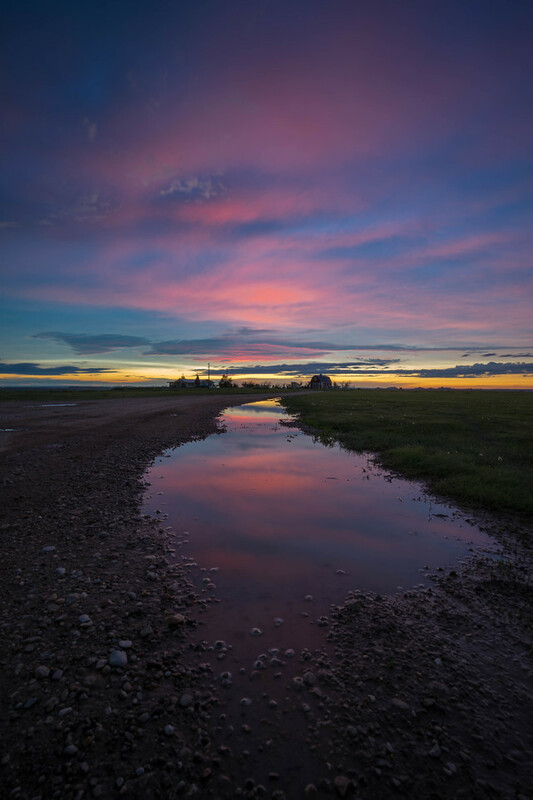 So to celebrate the beauty of the heartland, we've rounded up our best pictures of South Dakota to help you escape your work day. I hope you enjoy the photographs as much as we enjoyed capturing them. 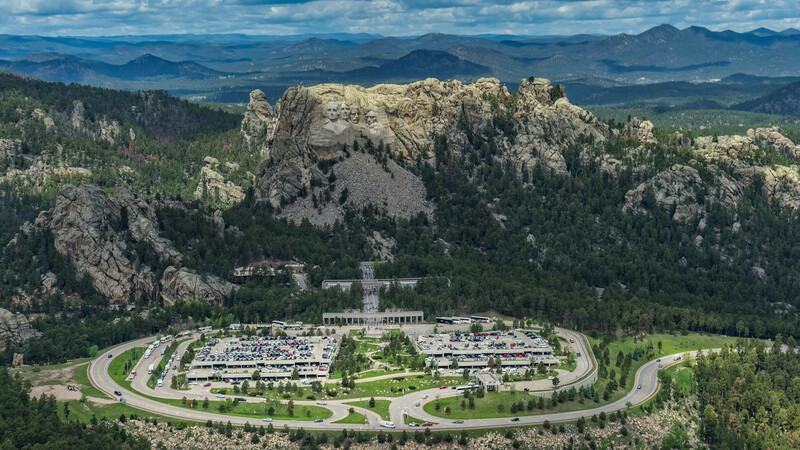 From Mount Rushmore to the Badlands, to the historic town of Deadwood to the Needles Highway, there's a lot to see when taking a road trip through South Dakota. 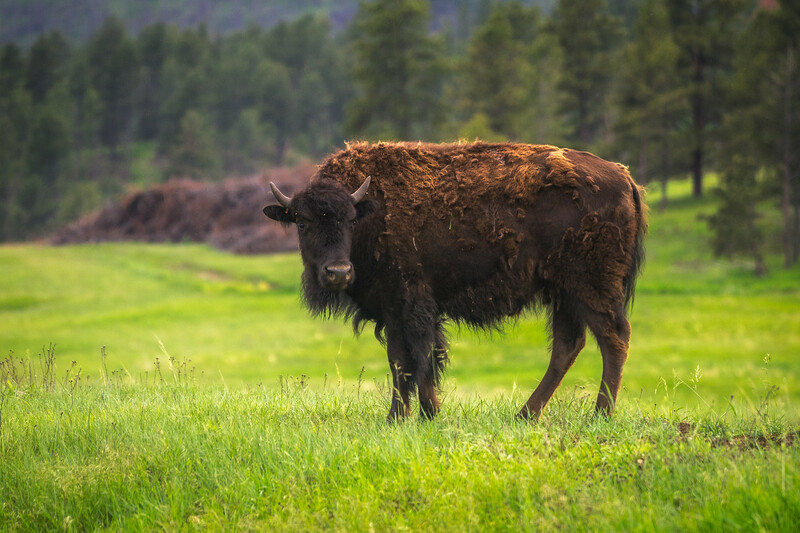 If you like animals, there's pictures of wild mustangs and bisons too! Plus, there's an added bonus part way through our photostory to show you what it's like on a buffalo safari in the heartland: A true highlight of our time there. 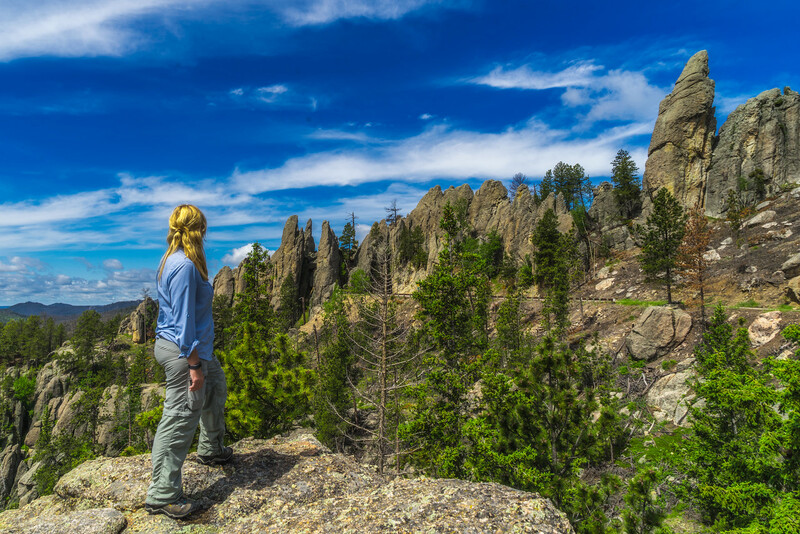 Hiking to hidden Gems in South Dakota. 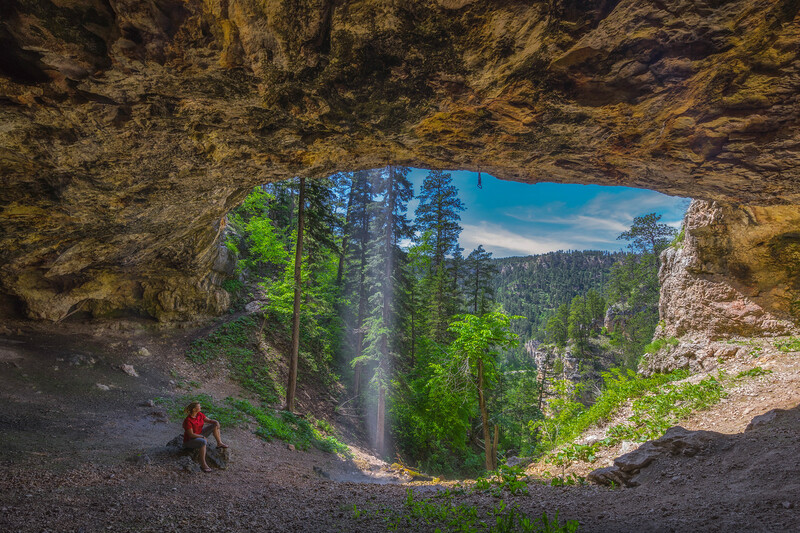 This hike is located in Spearfish Canyon. It's about a half hour climb up a river. Wear proper shoes and bring water. It's worth the view when you get to the top. 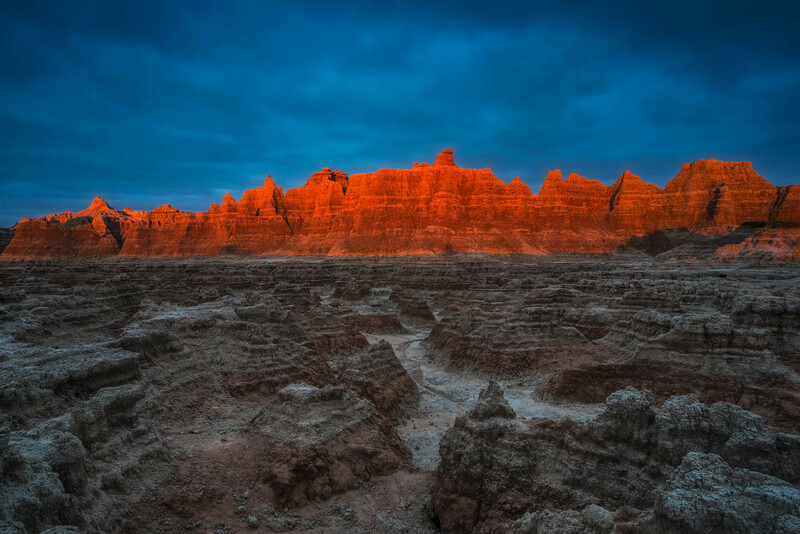 Sunrise at Badlands National Park in South Dakota. 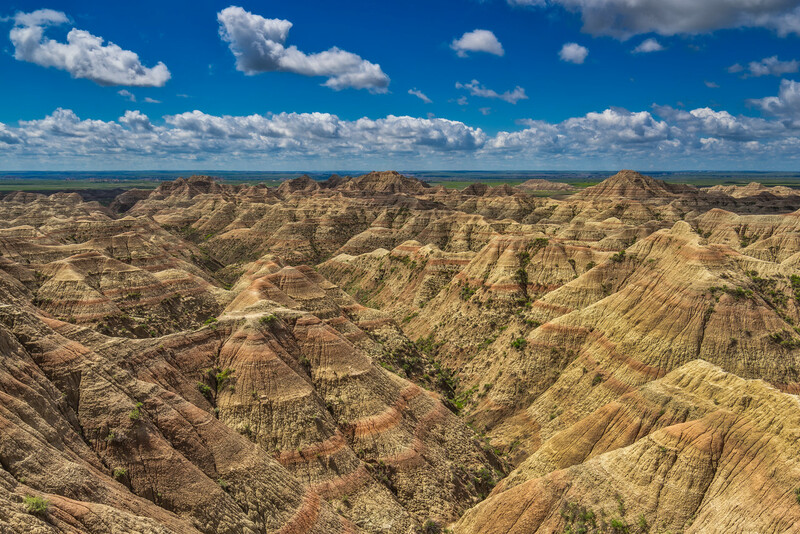 Make sure to spend an entire day in the Badlands. The landscape is a photographer's dream. I could do an entire photostory of South Dakota photos strictly from the badlands, it's diverse and beautiful. Sylvan Lake is great for a picnic. Oh, and for photos too! 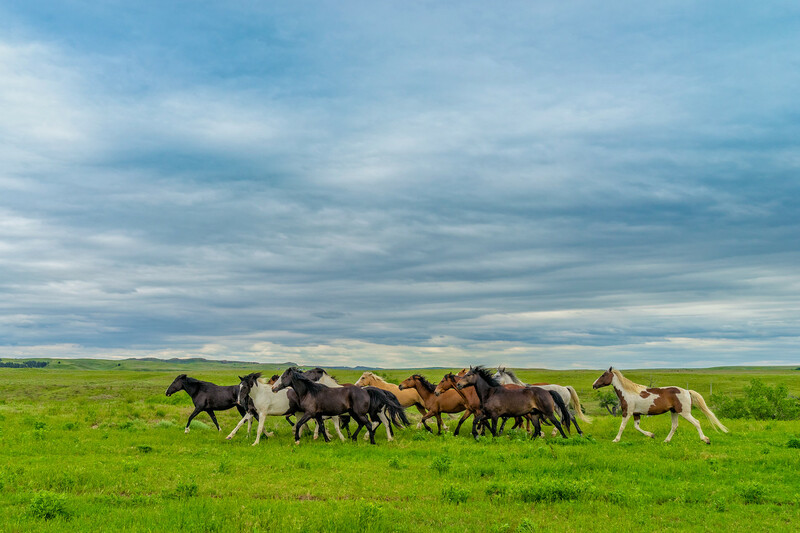 Wild Mustangs run free in the Black Hills of South Dakota. Told you. The badlands are beautiful, so I had to include another photo! 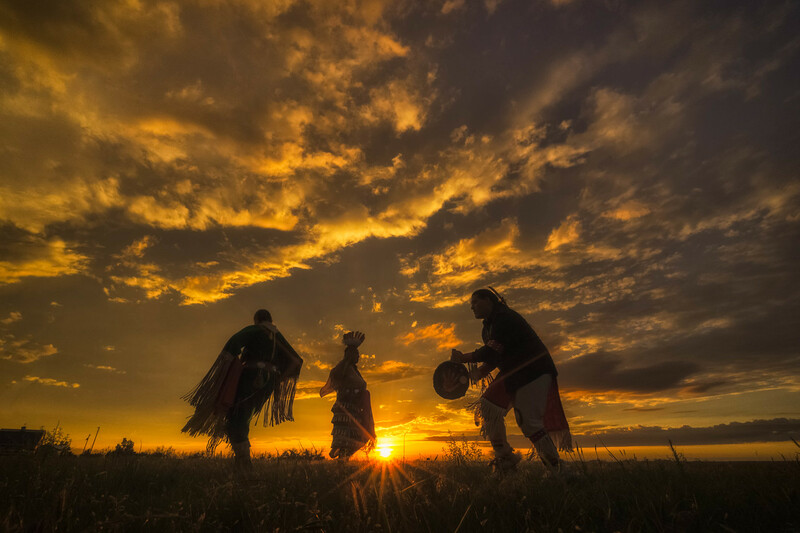 A Lakota traditional dance at sunset in South Dakota. There's a rich culture in South Dakota and when you are there, make sure to learn about the Lakota tribe. Our accommodation, The Circle View Ranch set up an evening of performances and stories. The Lakota's were kind enough to let us take pictures of them as well. 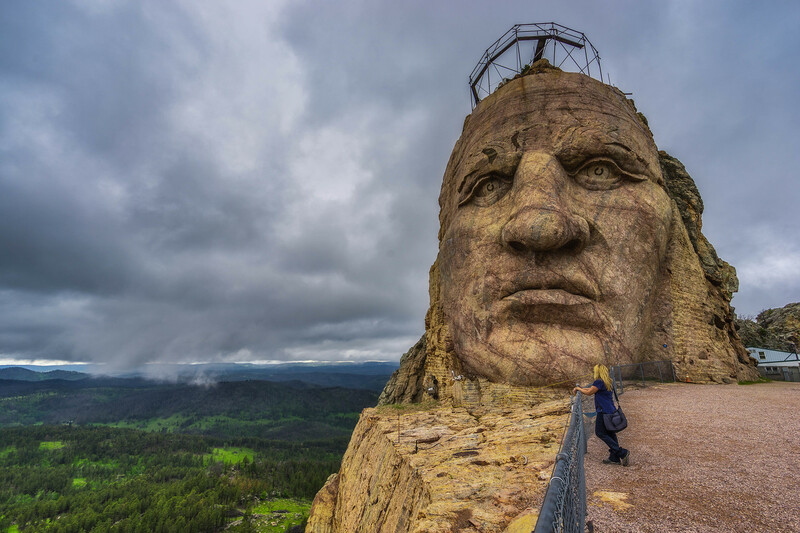 What the Crazy Horse Memorial will look like when done. 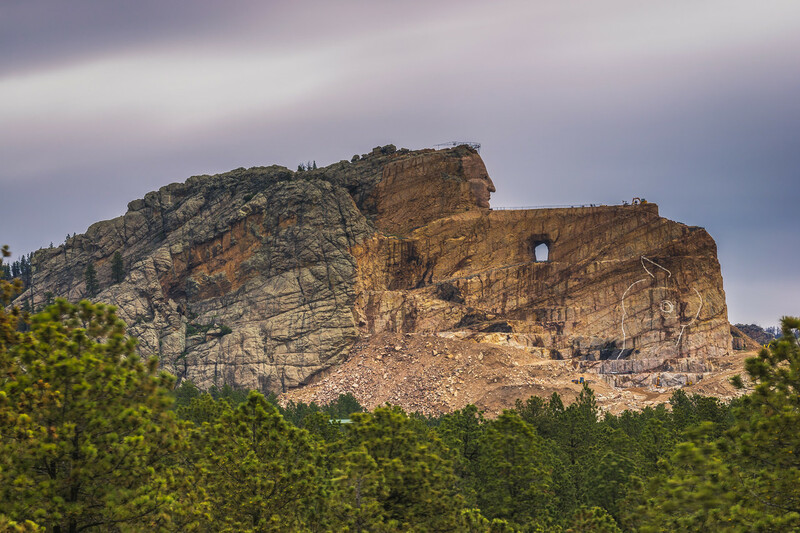 Crazy Horse memorial is massive and still under construction. 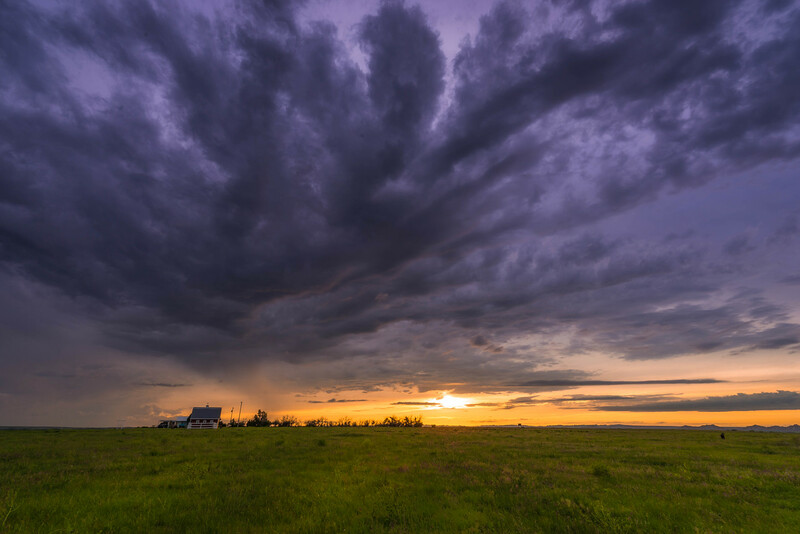 Storm clouds at sunset in the lowlands of South Dakota. 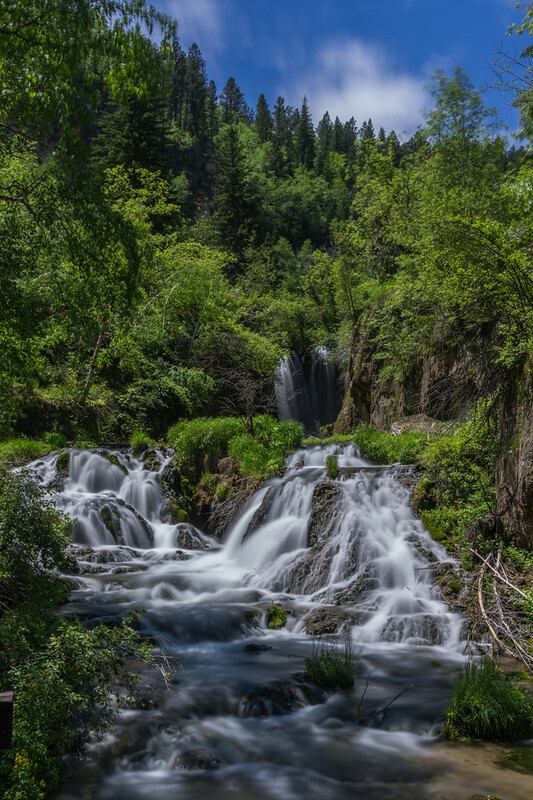 A quick hike in Spearfish Canyon will bring you to Roughlock Falls. 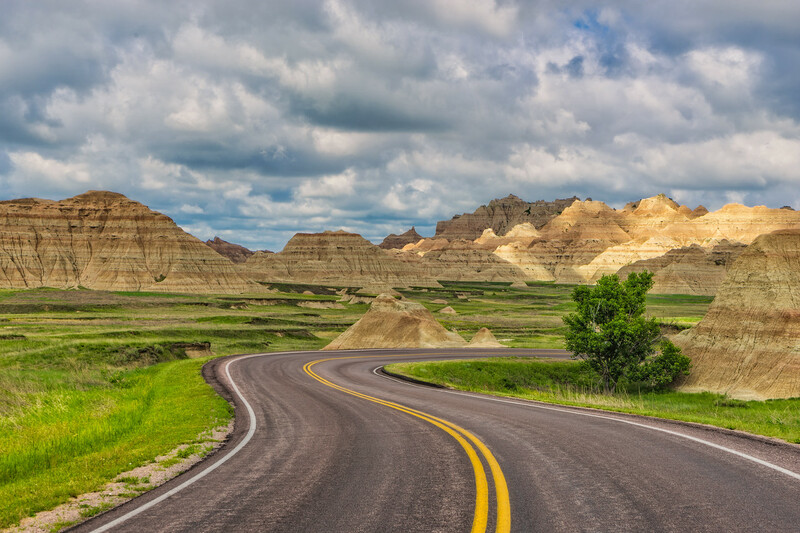 The Badlands of South Dakota are beautiful in every direction. Okay, one last photo of the badlands. 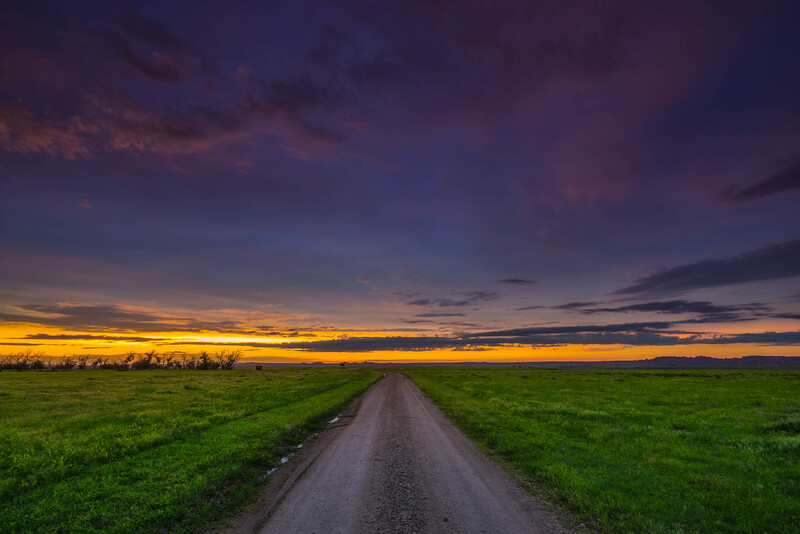 Gazing off into a South Dakota Sunset. We were blown away by the South Dakota skies! 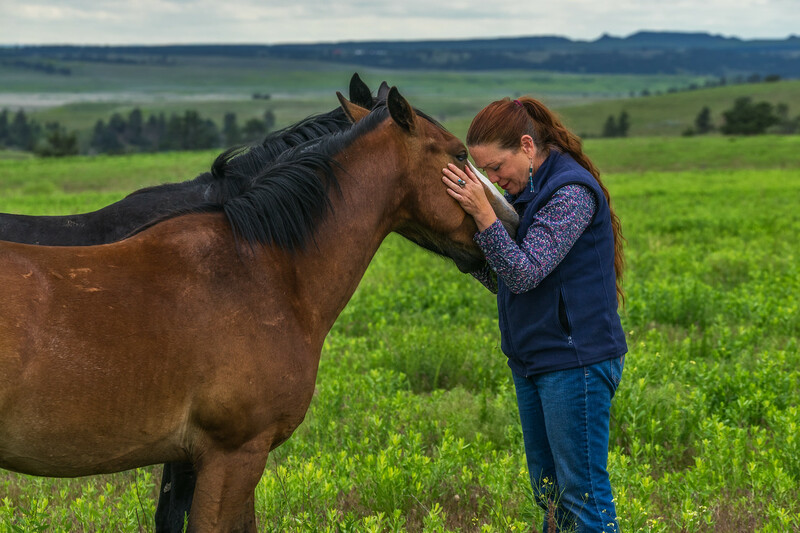 Becoming one with the Wild Mustangs in the Black Hills of South Dakota. Such a beautiful moment from the Black Hills Wild Mustang Sanctuary. Yet another spot where I could post only pictures of South Dakota mustangs and people would be happy. They are beautiful. 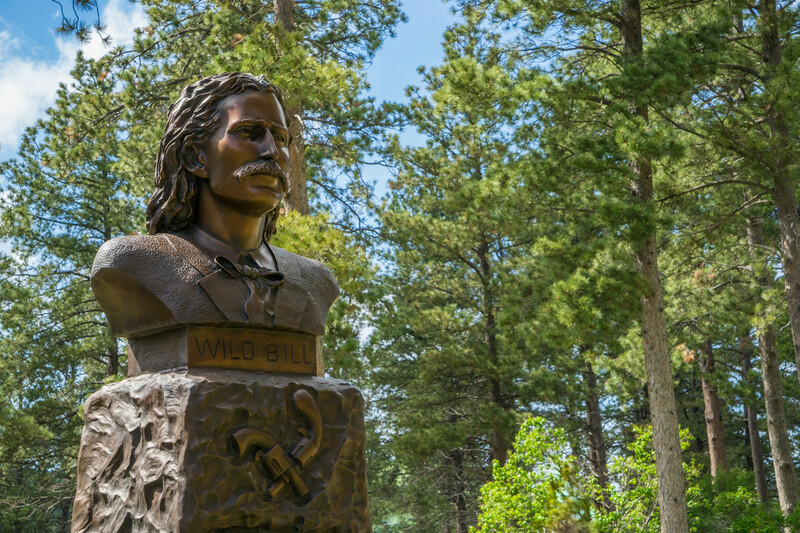 The Gravestone of Wild Bill Hickok. You can't miss stopping at Deadwood. It's a big casino town, but there's plenty of history and reenactments of the wild west days. Each night you can watch Wild Bill's murder over and over again. I wonder if he is getting any rest in the afterlife? Bidding Farewell to South Dakota. 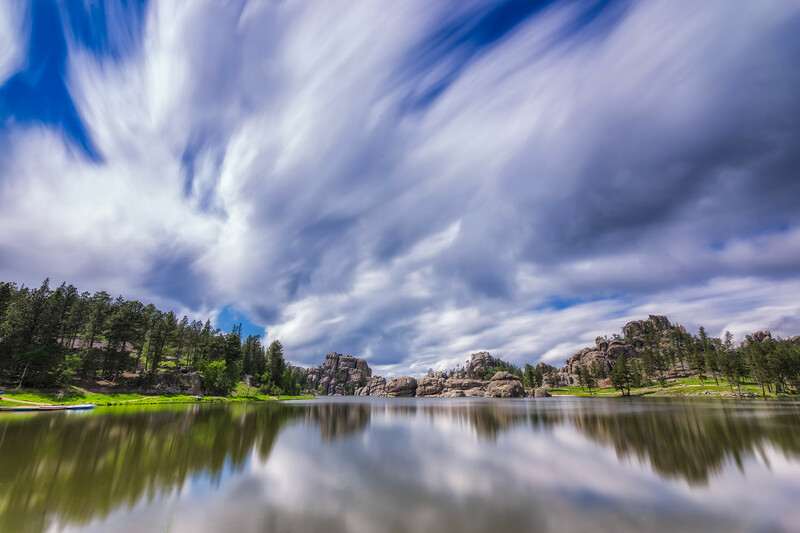 7 Responses to "19 Wondrous Pictures of South Dakota That Will Make You Want To Go"
Love the photo of the running horses. Makes me want to pack up and head to SD. Great post! I love the unusual perspective in the picture flying over Mt. Rushmore – and the badlands photo is really cool! Thanks so much for the post. This is a clean deal of photography. South Dokota is such a beautiful place! These pictures are beautiful. South Dakota really seems to come alive when looking at the big skies and thinking about the wildlife adventures that are there. Guess I’ll have to consider it for a future destination. Thank you for sharing! I am very amazed to see these fascinating pictures of South Dakota. I loved this charming place too much. I hope I will make a next destination, there with my wife. She will also enjoy very much to travel south Dakota. Thank you very much for posting such nice pictures from South Dakota.